As Christmas is around the corner and as people start stocking up on gifts, it is good to know what there is on the market with regards to virtual reality. VR boomed through gaming and the buzz of actually experiencing your favourite world, an example of a major and recent release which created massive hype in the VR world was the release of Bethesda’s ‘Fallout 4’ Virtual Reality edition, which allowed you to explore the game using an HMD, (Head Mounted Device). The Virtual Reality market has boomed in recent years due to the increase in its use, and major companies are using VR in different forms. VR is attractive to certain users because of a near complete immersion to a different world and this can prove to be very beneficial. As the aforementioned example states, gaming is a pretty big industry for VR as some huge companies are using the technology. Besides gaming though, there are other uses for the VR which can be really helpful to people, businesses and even research having increased potential in this technology. Here are some uses Virtual Reality can be applied to. Gaming: For gamers, VR offers a method with which one can experience the world in a more efficient and immersive way, games like Fallout offer a sandbox gameplay and this allows free exploration at ones will. The notion of free exploration is exciting for players to just roam around in their favorite world, but besides sandbox games, VR took also took off in the arcade world of gaming. Games like ‘Beat Saber’ and ‘Fruit Ninja’ offer an even more competitive edge due to VR. Travel: Travel agencies have found a market when it comes to Virtual Reality, this is because potential tourists are able to visit the desired location without actually being present in the location. This is by no means an alternative to traveling but one could experience and get an idea of the place before going, it could be that maybe the desired location isn’t as desirable as expected. This is done with for example Google Sreet view VR or Google Earth VR. Psychological therapy: A new form of therapy, has been introduced with the introduction of VR which is virtual reality therapy (VRT). VR helps treats patients with PTSD, Anxiety, and different forms of fear. This works in a way where, instead of exposing patients to situations in real life, you virtually recreate them using a VR, and with complete immersion, the doctor could easily get the desired emotions out of the patient. It could also help children who lack certain social skills, to practice and learn to virtual experience. Training Doctors: VR is also used to train people, in this example, VR is good for surgeons to practice certain operations and techniques, this allows students to practice without harming any real patients. Besides doctors, this idea could be used for various jobs, it could even help employers train new employees in the way of their business without initially interfering with their business. 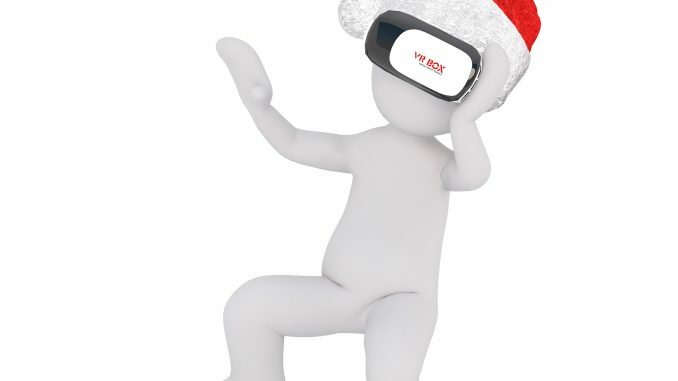 If you are gifting someone for Christmas virtual reality, you will need to do some research on what the person will use it for, what their computer is, if it is powerful or not and obviously, if you are going for a PlayStation VR you will need to know if the person has a PlayStation 4. There many different options that use a spectrum of different equipment and require different things in order for the user to run the VR with optimum performance. Modern VR technology fits under two categories, Mobile and tethered. Mobile VR devices work in a way where you place your mobile phone in between a series of lenses and the screen splits into two different sections to accommodate your eyes. This turns your phone into a VR Device. Devices like the Samsung Gear VR and the Google dream view compared to other VR devices are rather inexpensive and go for around 100$. These are usually used for apps, google street view and maybe some videos and films. Tethered VR is more expensive but offers a drastically different immersive experience when compared to the Mobile VR. Tethered VR includes products like the famous Oculus rift and HTC Vive. Instead of using a phone they use their own dedicated display, so the image is able to be more complex. They also have a built-in motion sensor and external camera tracker, which improve your involvement with the action at hand. The Oculus Rift and HTC Vive have to be connected to a PC, which requires quite a good PC for a smooth performance. The Tethered virtual reality go for around 400$. The drastic price change from the Mobile VR is expected, due to the major difference in quality and experience. Standalone VR is a recent addition to the virtual reality experience, they are essentially a Mobile VR with an android phone already built in, so it is an opportune alternative to a Mobile and Tethered VR with the perks of not needing to connect it to an external device. The prices range from The ‘Oculus Go’ which is around 200$ and the ‘Lenovo Mirage Solo’ which goes for 400$. Virtual Reality has come a long way from when the idea was first conceived, and now there are a plethora of possibilities we can use it for, ranging from research and medical use to gaming. Choosing one revolves entirely on how much you are willing to spend, and also for what reason, the most common use of VR is with gaming, with good reason since the gaming world has reaped the most fruits from VR. 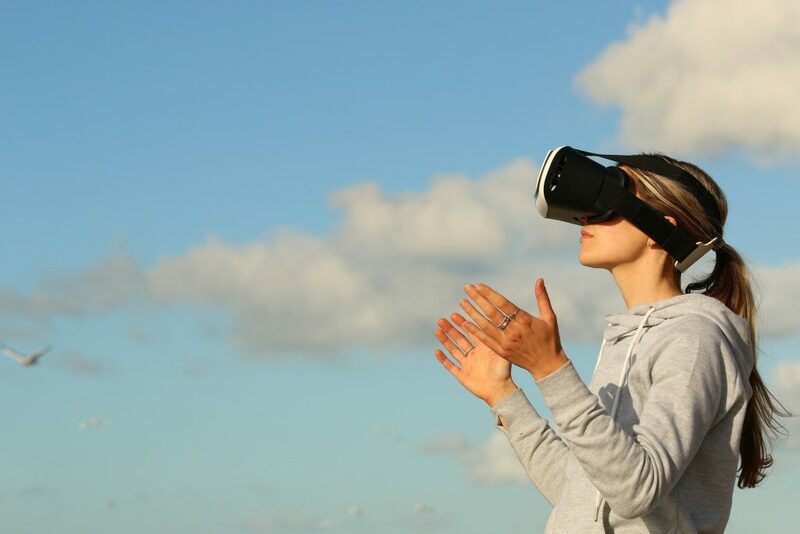 Also, The market is estimated to keep on the climb until around 2022, so there is a lot of growth and advances to be expected from the Virtual Reality world.